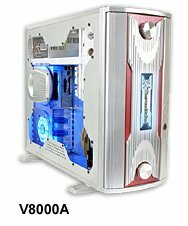 With all those mass produced pre-modded cases out there in the market, I know its very easy to be tempted to buy a case that looks good on the exterior but end up lacking in cooling performance. Sometimes the slick color of your case just doesn�t match that beige optical drive you installed into it. I know how that feels but no worries. 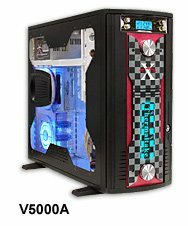 Well if you haven�t heard already, Thermaltake Technology had recently released their new line of Xaser Series Full tower ATX Cases, the Xaser V. Thermaltake has been in the business of case manufacturing for a very long time and let me tell you, this is the best they�ve made so far. For this review, we will be evaluating two subgroups of the Xaser V, the Damier Series and the WinGo series. Along with the accompanying new slick look of the new Xaser cases, these babies, unlike it predecessors, sport some features like the ability to house three 90mm fans in the case (along with two other 80mm ones), speed adjustment knobs for the fans on the front panel of the case, as well as its innovative compact design which allows you to install up to five 5.25" drives (you heard me, five 5.25" bays, THAT�S A LOT! ).